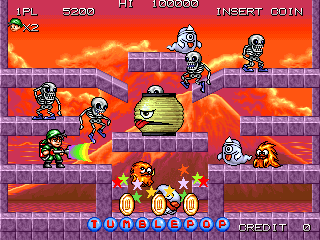 OverviewTumblepop is a 1991 Data East Game Boy Game involving ghost-busters. It is based on the original Arcade version of Tumblepop. Now you can add videos, screenshots, or other images (cover scans, disc scans, etc.) for Tumble Pop (bootleg with PIC) to Emuparadise. Do it now!